The concept of super slow lifting for better natural bodybuilding gains is not a new concept. It has been around probably for as long as weight training has been. It started to become a really popular concept once a Florida-based trainer named Ken Hutchins (author of “Aerobics is Dead” and “Why NOT Aerobics”) patented the name and really started promoting the idea. 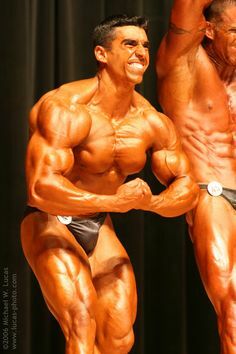 In addition, I have also seen many books written by Dr. Ellington Darden (writer of over 40 weight training publications such as the “Nautilus Advanced Bodybuilding Book”, “Bigger Muscles in 42 Days”, and “Grow :A 28-Day Crash Course for Getting Huge”) promoting slow lifting as a way to enhance your natural bodybuilding gains. Basically the concept is simple: slow down the repetition in such a way that it takes you 14 seconds to perform each one. No aerobic exercise is performed as any aerobics may in fact hinder recuperation capability and performance (according to the proponents of this philosophy). You choose one or two exercises at the most per body part and perform a full body routine three times a week. For each exercise you will perform 1 set of 10 repetitions lasting 14 seconds each. Who Benefits From a Super Slow Lifting Protocol? It teaches them correct exercise form. Improves the mind muscle connection by creating neural pathways between the brain and the motor units in the muscle (something that will enable the subject to have great control over their muscle fibers which in turn yields greater muscle fiber recruitment when the exercise is being performed). Teaches the beginner tolerance to pain. Teaches the trainee the concept of muscular failure, which is a very important one to achieve the best natural bodybuilding gains. People that are on rehabilitation. Natural bodybuilders that are coming back from a long layoff due to injury. People that are not bodybuilders and just want to maintain a moderate fitness level. 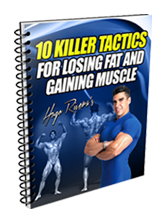 Unfortunately, for intermediate and advanced bodybuilders, there is little that a routine consisting of several exercises performed for one set of super slow repetitions can do for further muscle stimulation and natural bodybuilding gains. The reason for this is that in a highly trained physique one set is not enough to recruit a significant amount of motor units in the muscle. 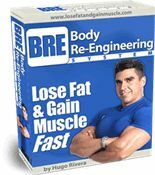 Therefore, because a sufficient amount of motor units has not been stimulated, the body just does not have a reason to elicit muscle growth. Now some may argue that muscle growth will happen as long as you continue to increase the weight over time in all of the exercises. While at first this will work, since the body of the beginner bodybuilder will indeed get stronger, strength gains will cease since as the bodybuilder continues to perform the same exercise session after session, the body will then recruit less muscle fibers every time the exercise is performed (this is a normal process of adaptation). Needless to say, it is hard to elicit strength gains if you are recruiting less and less muscle fibers every time that you go to the gym. You can offset this to some degree by changing the exercises every 4 weeks or so. However, even then the inevitable will occur (ie: total adaptation to the training protocol which leads to lack of gains). The only cure to this symptom is to implement intensity (weight) and volume modulation in your weight training program via periodization; something that requires the use of more than one set per exercise. In addition, slow training only really targets slow twitch muscle fibers, which are fibers that are designed for endurance work and have no great potential for strength or muscle growth. Bodybuilders do need to stimulate these fibers but most of their work should really concentrate on the white fast twitch fibers, which are the ones with great potential for muscle growth and strength. The only way to stimulate these fibers properly is by performing the positive portion of lift using the maximum amount of acceleration possible without any momentum (jerking and bouncing off the weights) and then returning the weight to the starting position at a lower rate. The reason for this is that you create more force by trying to lift fast. In order to create more force, more muscle fibers need to be activated in order to move the weight at a faster speed. By ensuring that you are not using momentum to move the weight, all of the force is being created by your muscles and this stimulates them to grow. While super slow lifting hurts, it is not the best way to stimulate muscle growth since all it does is accumulate lactic acid in your muscles and fatiguing them before they reach real failure. Science tells us that Force = Mass (in this case the weight you are lifting) x Acceleration (the increasing speed at which you lift the weight). Therefore, as long as momentum is not included in the equation, and the weight is lifted fast but with total control, this is the best way to lift weights. Since you won’t be jerking the weights, the risk of getting injured is not any bigger than the risk of getting injured lifting super slowly. There is one last thing that needs to be mentioned about lifting speed. If you are lifting a weight that only allows you to do 8 repetitions, in the mirror it will look like you are lifting the weight slowly even though you are lifting it as fast as possible. This is due to the fact that the heavier the weight the slower you will be able to move it, even though you are trying to accelerate it as fast as you can. 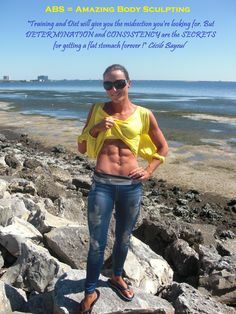 However, even though following a Super Slow Training Protocol, in my opinion, is of no value to advanced bodybuilders, there are a few things that we can certainly borrow from it. In situations where say you are traveling and only have access to a multi station gym with not enough weight to elicit a growth response, you can do 10 sets of 10 repetitions for the targeted body parts performed at super slow tempo in order to compensate for the lack of weight. You can apply the same 10 sets of 10 principle described in item 1 in situations where you do have all of the weight needed available but you have an injured area that cannot support a lot of weight. Training the injured area with 10 sets of 10 repetitions with an exercise that does not hurt such area in super slow fashion is a nice way to create stimulation without further damage. At the very least, your size may stay the same as opposed to losing size due to inactivity. If you want to activate the maximum amount of muscle fibers and the right type (white muscle fibers) you need to generate force. The more force you generate, the more muscle fibers need to be activated in order to move the weight at a faster speed and the only way to accomplish this is by accelerating the weight in the positive direction of the movement. 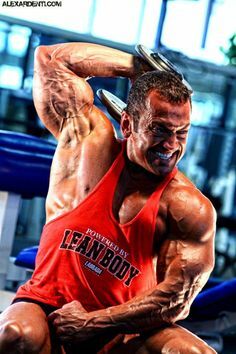 Leave a Comment with Facebook for Can You Get Better Natural Bodybuilding Results Via Super Slow Lifting?